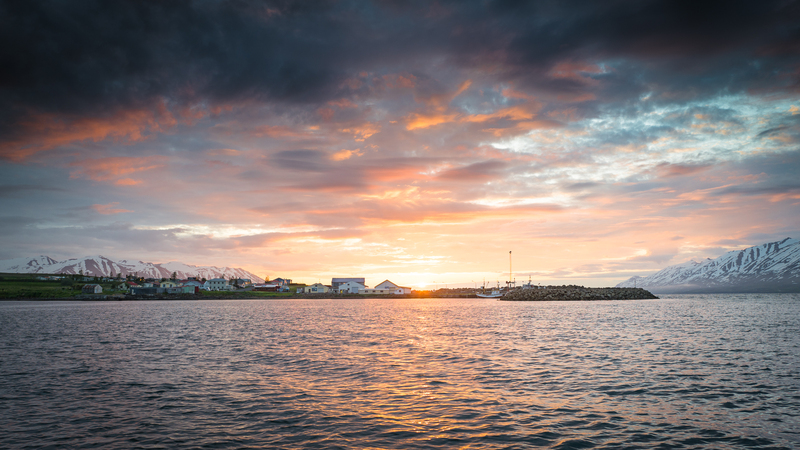 Hauganes is a charming and authentic fishing village just 20 minutes from Akureyri and 10 minutes from Dalvík by car. It’s a quiet and peaceful village with great view over the ocean in Eyjafjordur where you can very likely see whales breaching and dolphins jump. The harbor is the main attraction, with a nice and cozy fish restaurant Baccalá Bar. There’s the old pier area and a black sand beach and a small camping area with WC’s and a shower. Hauganes is an overall quiet and friendly little village well worth the visit.